Product prices and availability are accurate as of 2019-04-20 04:00:04 EDT and are subject to change. Any price and availability information displayed on http://www.amazon.com/ at the time of purchase will apply to the purchase of this product. (Music Sales America). 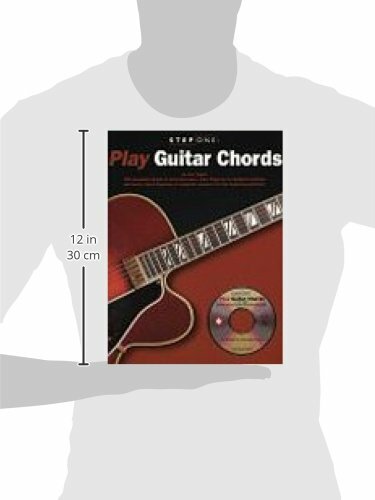 200 essential chords in all keys, fully fingered, in standard notation and handy chord diagrams. A complete resource for the beginning guitarist, to go with the Step One series. Includes a full length CD containing all the music examples and tunes played by professional musicians.